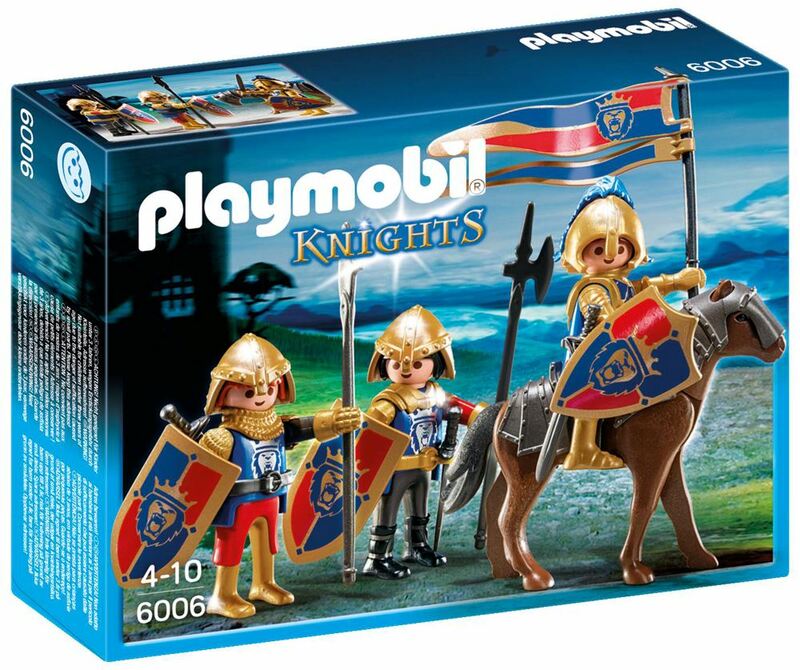 Protect the king with the Playmobil Royal Lion Knights. Includes: 3 armored knight figures, a horse, shields, royal banner, swords and accessories. Part of the Knights range. Age 4+ years. Distributed in New Zealand by Holdson.